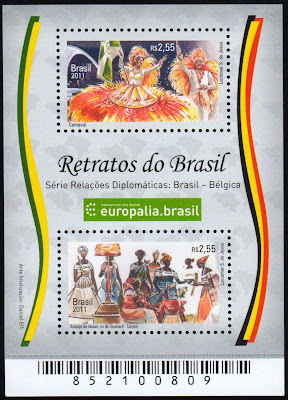 Brazilian post office issued a series of two stamps and a souvenir sheet to celebrate the Arts Festival Europalia - Brazil. 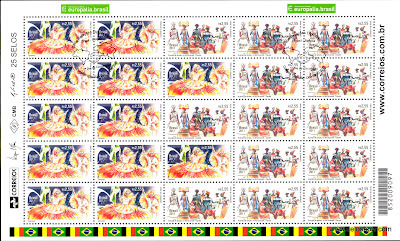 Stamps were issued on Oct, 29th but were available for sale with some delay. 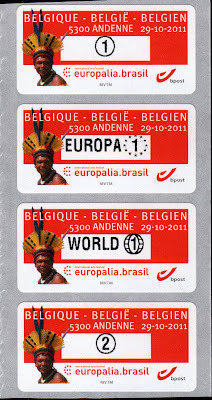 Belgium issued a souvenir sheet with two stamps as well as ATM stamps, FDC and a special FDC. 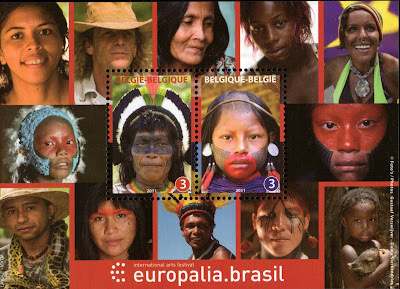 Issued for advanced sale on Oct, 29th. Regular issue date was Nov, 2nd.